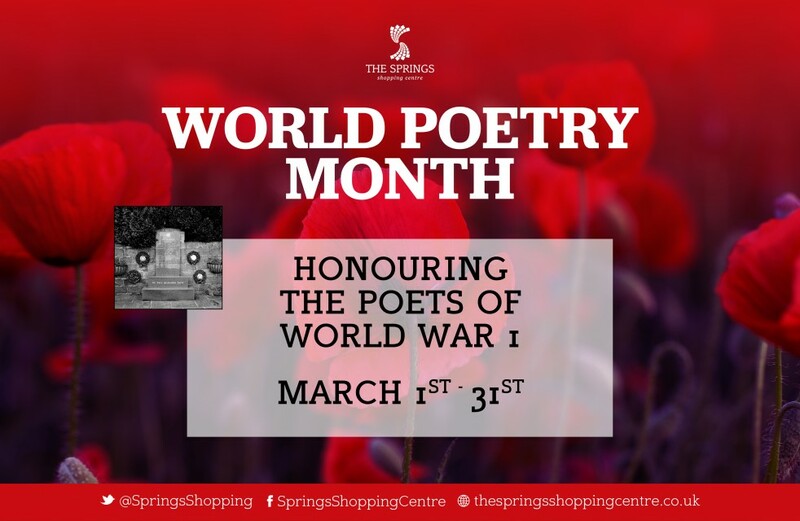 Throughout the month of March, The Springs Shopping Centre will be honouring the poets and poetry from World War 1. Visit the centre during March and see the display which features a variety of poetry from such poets as WIlfred Owen, Charlotte Mew, Isaac Rosenberg, Rupert Brooke and many more. The display will be present in the centre until April 1st so make sure you come for a look before it goes.